Influenced by the devastating events of the Grenfell tower in North Kensington, London, The Tower explores a section of London life. 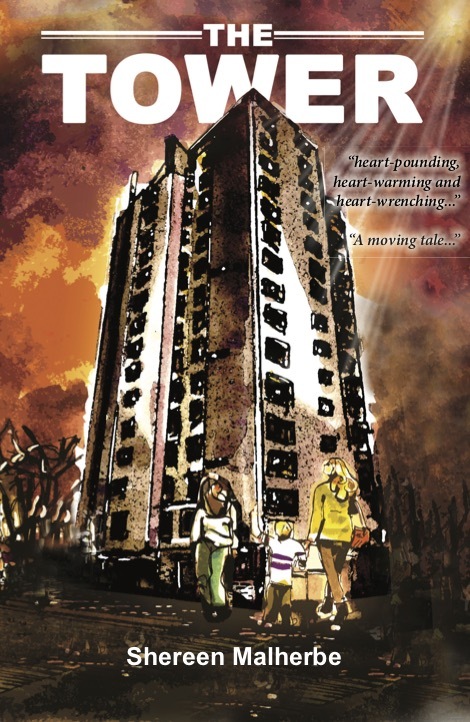 The Tower is a timely, relevant piece of fiction exploring a section of London life under the pressures of migration, personal loss, attachment and shifting homelands. Reem is a Syrian refugee who has arrived in London, trying to discover the whereabouts of her 10-year old brother, Adar. Obsessed with history and consumed by her fragmented memories of home, Reem is also hiding secrets she hopes will never be revealed. 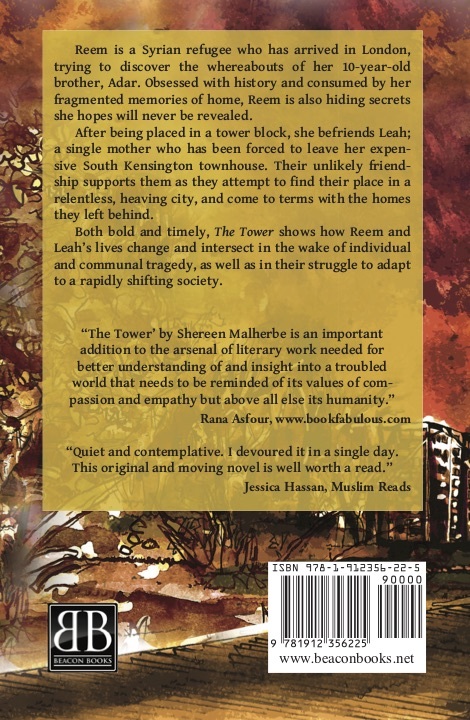 Both bold and timely, The Tower shows how Reem and Leah’s lives change and intersect in the wake of individual and communal tragedy, as well as in their struggle to adapt to a rapidly shifting society.